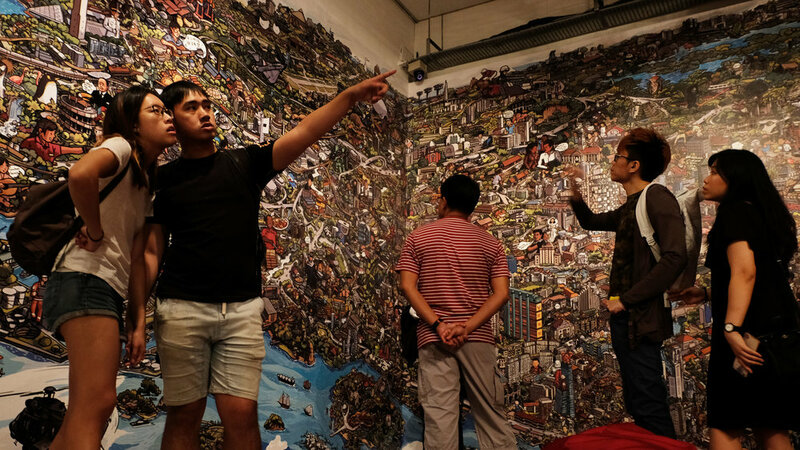 A site specific installation for the Imaginarium : Into the Space of Time exhibition at the Singapore Art Museum at 8Q from 6th May to 26th of August 2018. I took part in the "Of Cuckoos and Sparrows : An Imitation Game" exhibition where I had to mimic a fellow illustrator's style. 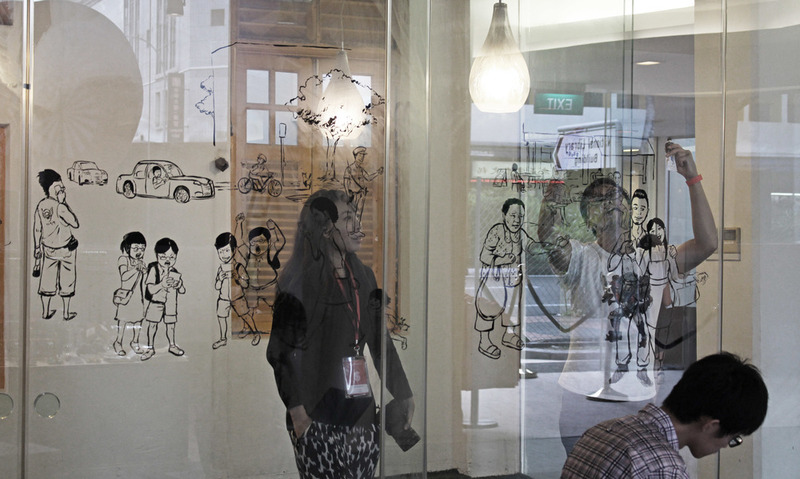 My assigned study is Dan Wong (A Good Citizen) , whose works has a distinct Singapore flavour. My references were his "dot ess gee" series as well as a live piece he did in the SingaPlural 2016 entitled "A Singapore Screenshot". Changi Airport | A Special Place. Taking a cue from his works, I picked a setting I am really fond of : Changi Airport. It is the gateway to the world and entrance to home, captured the conundrum, frustration and fondness of being Singaporean and a global person as it is where the international and home converge. "Of Cuckoos and Sparrows : An Imitation Game"
The work exhibited side by side with Dan Wong's. At the "Sayang Singapura" Exhibition (29th Feb - 30th April 2016) at URA Centre. 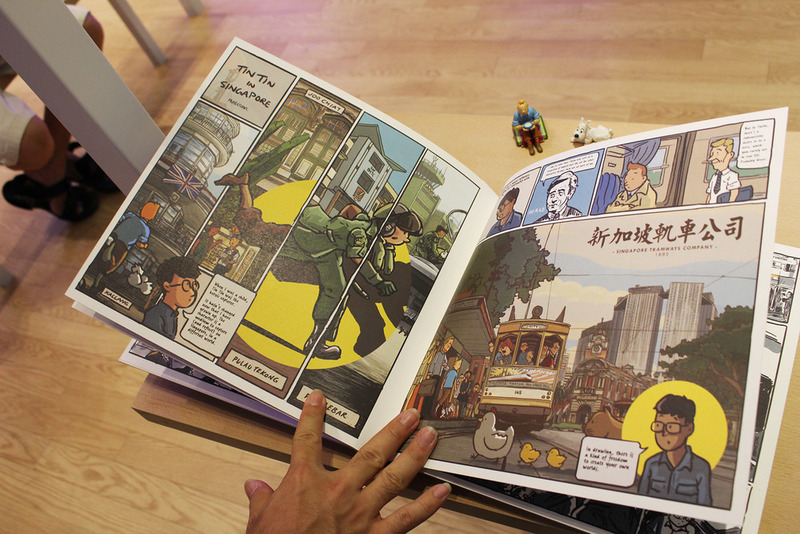 A Graphic Book for Noise Singapore 2015 Showcase. BLACK did the overall design for Noise Singapore 2015.